I’ve had this book on my shelf for a while now and I didn’t really know what it was about until I started it. I wasn’t disappointed by all means but it wasn’t what I was expecting. 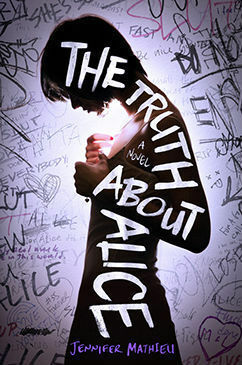 The Truth About Alice is told in four perspectives, all from high school students telling their side of a story about a girl named Alice. I wasn’t a big fan of that. I’d how it was different and original but I felt so bad for Alice, no matter what the other four kids said about her. I hated feeling like the author was making me hate Alice. I felt like I was talking bad about someone behind their back. Basically, this book made me feel bad. I did think that this whole book was really believable. I really like how the author was able to bring a lot of different emotions out of me.